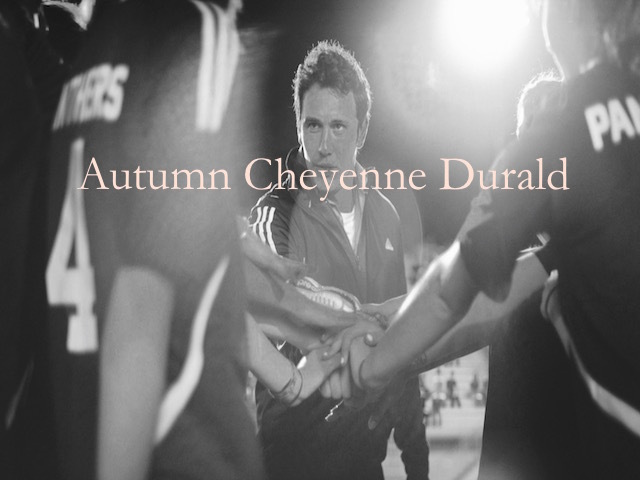 Autumn Cheyenne Durald is a cinematographer currently based in Los Angeles, California. Autumn grew up in the Bay Area and moved to Los Angeles to complete a course in Art History from Loyola Marymount University. She then went on to study at the American Film Institute before beginning her career as a cinematographer. 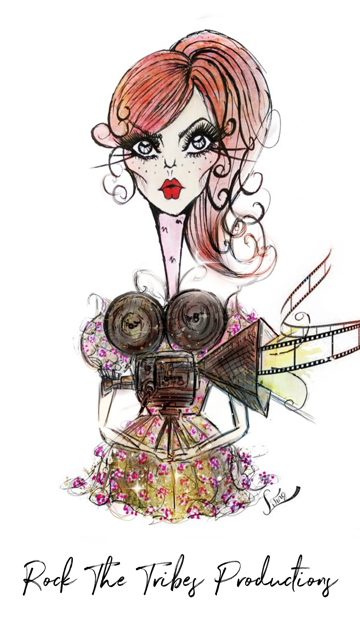 She has travelled all over the world and worked with both Film Directors, Commercials Projects and Fashion Houses. Here Louise Leverett meets Autumn Cheyenne Durald to discuss her passion, her inspirations and the roots behind her work. LL: So at what moment in your life did you decide that you wanted to be a cinematographer? Where did it all begin? ACD: I’ve always loved films ever since I was a kid. Growing up I recall watching a lot of Woody Allen films with my mother. Then when I got to high school I became an avid photographer. I loved my black and white photography class and started bringing a camera everywhere. After high school I followed a Fine Arts path and graduated with a BA in Art History. It wasn’t until college that I became interested in filmmaking and cinematography. I remember after seeing Raging Bull in my film genre class being so inspired and obsessed with the camerawork. After that enlightening experience I had the itch. Following college I eventually found myself working in advertising. I had a friend working at a company and they needed assistants and I needed a job. Although it wasn’t in my field I learned a lot working in a corporate environment. Three years down the road, the ad world was no longer enticing and I realized my true passion was for cinematography. So I saved up some money, quit my well paying job and started seeking out any opportunities to learn what a DP does. Shortly after a year of working on sets in all facets of the cinematography department, I applied to AFI. LL: Did it seem to you to be a realistic career path in the beginning? At what stage did you feel that this could be something you could forge a career out of? ACD: If you feel passionate enough about something you can achieve it. I’ve always loved films and I’m a very visually minded person – it was a natural progression that I chose to become a DP. I got to a point where I could no longer not know what it was like to shoot a film or be around people making films. When I worked in advertising I would spend any time outside of the office watching films, shooting little movies with friends and I even took a cinematography course at UCLA extension. Early on in my quest to find out more about cinematography, I met with a friend of my fathers who was in the business. I recall her saying there weren’t many female DP’s and it wasn’t a job she saw me doing. Until this day I laugh about that encounter and probably worked harder just because of that discouragement. It never crossed my mind that it wasn’t a realistic path. Working on set is hard work, but with all the hard work comes so many rewards. Female or not I had something to say as a visual storyteller and that’s what drove me the most to becoming a DP. The moment I realized I could forge a career out of it was while at AFI. After making my first short film I realized I was good at it and could make beautiful images that informed the narrative, I also loved working with the director and my crew. LL: Has there been a person or particular influence on you, which has made an impact on your creativity within your own life? LL: Now you have achieved a level of success where you are working within the industry is there anything that surprises you in terms of creativity within the world today? ACD: With the advancement of pro-sumer technology everyone can be a filmmaker now. We are bombarded with so many images on a daily basis. It’s hard to find work that stands out from the rest. I still value filmmakers who are thoughtful about the narrative process and storytelling, rather than those who string images together to get a reaction. For me it starts on the page and with the characters. I’m always looking for work from these type of filmmakers and admire those who value storytelling. I strive to create work that is honest and inspiring to others. I think it’s important to keep these things in mind in today’s entertainment climate. Things are changing at a rapid pace and keeping the elements honest is what makes a great film versus just another video online. LL: How important do you see culture as a way of defining creativity? Do you feel that your upbringing, your life story and your roots have an influence in some way on the work you are doing now behind the camera? ACD: Absolutely. Everything I’ve experienced and seen informs the way in which I photograph something. My upbringing completely inspires the work I do on a daily basis. I was raised by my mother and growing up as an only child gave me a lot of time to be creative and entertain myself. All these elements inform the way in which I view people and my environment. That’s what makes us unique storytellers. I decided later in life to become a DP, but I’m happy it worked out that way. Working in a corporate atmosphere and traveling the world for documentary work were all amazing experiences and assisted in giving me more tools to work with as a DP and gave me more confidence. I always tell people who are interested in cinematography, the more life experience you bring to the table, the more you contribute to the way in which you frame or light a scene. Seeing the way light falls on a landscape in different parts of the world has definitely informed the way in which I respond to light emotionally. I love lighting and making sure it advances the story and feels real to the audience. When the lighting in a film is spot on, it can transport you into that space and make you forget you’re even watching a film. LL: Do you use music as a point of reference for your work either directly or indirectly, and if so, what pieces inspire you most? ACD: Music has always been a huge inspiration to me as a photographer. When I worked in advertising I would shoot my friends with a handycam on weekends and cut little films on imovie while listening to my favourite songs. That was probably the first time I realized how music informs the emotional quality of the images you put together in a film. I have always been affected by music in film, but it took making my own films to realize how a tune can change your whole perspective. I am very emotionally drawn to music. I tend to hear something once and either love it or don’t. After that, whenever I hear it it reminds me of whatever I was doing in my life at that time. Whether it was being in love, traveling with friends, or going through rough times. I love that music can reignite memories so easily. Specific songs are like my own personal scrapbook of growing up. LL: Is there a distinction between a narrative story i.e. a short or feature film and a music video? Obviously they are very different mediums but can you distinguish between the different levels of creative freedom they give you? ACD: There is definitely a divide in creative freedom between those three mediums. Not to say a feature film can’t have the creative freedom of a music video, but the amount of time it takes to prepare for these three distinguishes them the most. You have much more time to creatively prepare for a feature film than a two day music video. I’m always thinking on my feet so whether it’s a feature or a music video I want the visuals to tell the story and inspire the audience. Creative freedom also depends on the director you’re working with. Some directors are open to finding things on the set and some would rather have everything pre planned so it’s easier for them to take chances on the day. LL: What scares you as a creator in the world today? ACD: Nothing about being a creator is scary to me. Being able to make images that inspire an audience, generation or your peers is an amazing feeling. I choose projects that inspire me and I feel will ultimately inspire audiences. I suppose the only scary thing I’ve noticed lately are the images young girls are bombarded with these days and how those are informing the way in which they view their bodies and self-confidence. LL: Does your work enable you to travel to parts of the world foreign to you and if so, is there another culture in particular which your curiosity is drawn to? ACD: Yes, I’ve been fortunate enough to work in many countries. Before AFI, I worked on a documentary TV show that took us through the Middle East (Beirut, Jordan and Dubai), which was an amazing cultural experience. I’m starting to work in Tokyo more often, which I absolutely love. It’s an amazing city filled with so much culture and history. I love my crew out there and all the friends I’ve made in production. It’s one of my favourite cities to shoot in. LL: To what degree do you feel film has on the surrounding world? Do you feel a sense of pressure to communicate and exchange cultures on such a widespread platform? ACD: Film has always been my outlet for learning about different culture’s forms of storytelling. The best feedback we’ve received about Palo Alto is just that – it’s an honest depiction of what it’s like to be a teenager in America. LL: How does your own culture or place in the world influence you and your work? Where you stand now as a woman, do you see that as having an influence on you as an artist? ACD: Absolutely. I continually say to those asking about being a female DP — “because I’m a woman I’m going to have a unique perspective on things and the way in which I tell the story visually.” However, my individuality is going to inform the way I shoot even more. Every unique thing you can bring to the table makes you a better DP. Having a female perspective is just another great attribute in a long list of things that inform the way I shoot. Everyone’s eye is unique, so no two people will shoot something the exact same way, whether female or male. I obviously pride myself in shooting women well, I can relate and know how they would want to be seen. 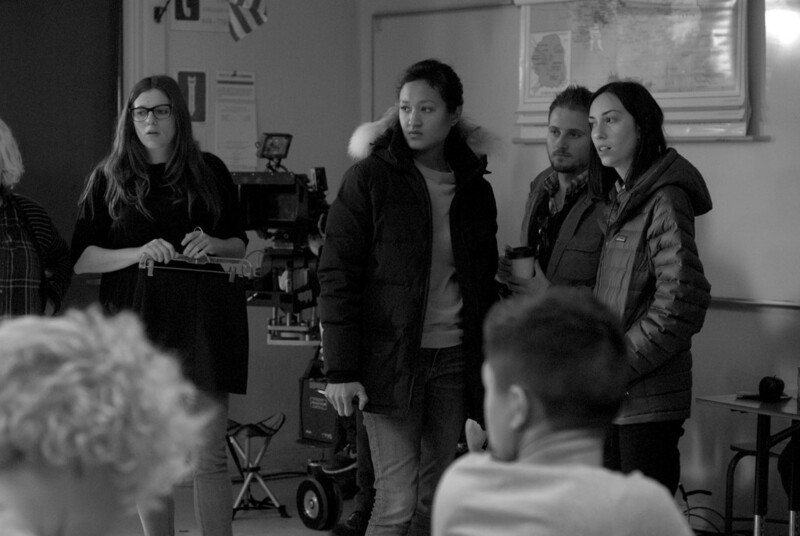 There are more female directors in filmmaking right now. They have something to say and people are interested in hearing it. It’s an exciting time right now for women in film. Directors like Jane Campion and Sofia Coppola were always an inspiration to me growing up, and now filmmakers like Lena Dunham and Gia Coppola have something to say about our generation, which is also inspiring. LL: Are there any films in particular which have inspired you or have highlighted to you something, which made you curious? ACD: Always a difficult question, I have so many inspirational films. The films that have always resonated with me and inspired me to become a cinematographer were Klute, Raging Bull, Broadway Danny Rose, Hannah and Her Sisters and Gerry. Most recently I saw Under the Skin at TIFF and was absolutely blown away. Jonathan Glazer is a genius. Every day, images from that film still pop into my head and inspire me. That film opened my eyes to the possibilities we have as filmmakers and how some directors are making brave decisions to get their stories on the screen. LL: Can you refer to any of your own work, which surprised you in some way or, during the process, changed the way you viewed film? ACD: Shooting Palo Alto was one of the best experiences I’ve had on set. Working with such amazing and talented people, we became a family and that’s the best environment to make films. My work on Palo Alto is honest and precisely informs the director’s vision. I am most proud of my work when it does that. Gia and I share the same visual style and often don’t even have to communicate what we like, it’s understood. Having that trust with your director can produce amazing films and I feel Palo Alto is an example of that trust and shared appreciation for each others work. I recently shot a music video with director Sam Brown where I felt that same bond. It was a great experience working with him. The music video is something we’re both proud of and had a great time shooting. Working with inspiring directors is what drives me and allows me to create the best images. LL: Moving forward, what are you hopes for the next stage in your career? ACD: I love shooting feature films and telling stories. I look forward to reading diverse and unique scripts with complex characters. Palo Alto has given me the opportunity to share my work with a broader audience and I hope more people can see it soon. I definitely have more to say and look forward to sharing my point of view with a diverse range of talented filmmakers.